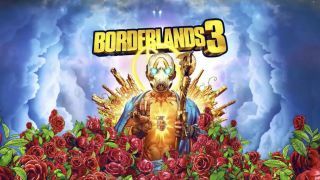 Gearbox's Borderlands 3 launches in September, and if there's one thing fans want more than anything else for the upcoming loot shooter, it's cross-platform co-operative play. Now, it's starting to seem like that dream may become a reality, with the Microsoft Store's Borderlands 3 page briefly listing 'cross-platform co-op' in the Xbox One version's 'capabilities' section. Of course, that feature was quickly removed from the page, but not before the eagle-eyed people at Windows Central nabbed a screenshot. Admittedly, there's no way of knowing whether the feature was listed purely by mistake, or if Microsoft has accidentally leaked a feature that Gearbox is indeed working on. There's also a possibility that the feature was removed from the listing due to the game's PC version being announced as exclusive to the Epic Games Store – Fortnite, for instance, does have cross-platform play, though the feature isn't listed on the game's Microsoft Store page. We'll hopefully find out for sure before the game releases on September 13, 2019.